Welcome to the MCN information centre for the BMW S1000RR. Here you will find first ride reports, tech details and pictures of the new S1000RR motorcycle. Check back soon as we will shortly be posting the full review of the BMW S1000RR from the world launch. 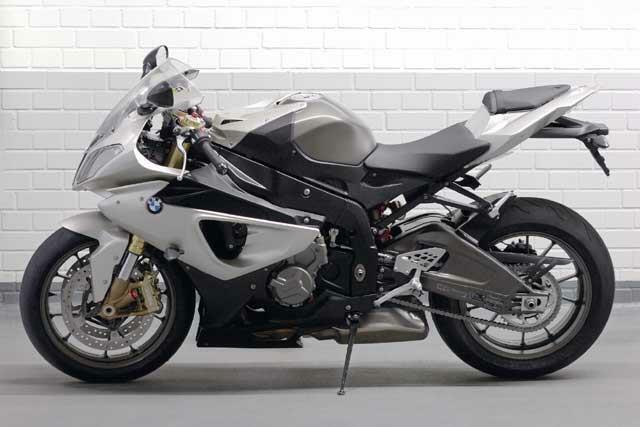 The S1000RR is a completely new motorcycle with a 999cc in-line 4-cylinder engine and is very compact and light. The dry weight is just 183 kg. This is a radical departure for BMW and it's their first World Superbike machine. Check back here regularly for the latest news and announcements on the launch of the BMW S1000RR.